The past few days of celebration have been somewhat of a whirlwind from which it will take a bit of time to recover. In the meantime, here are some photos of our activities. It isn’t very often that all of our grandkids are gathered together, but this Christmas offered that opportunity. On Friday evening, everyone celebrated Heather’s 40th birthday with bowling and barbecue. 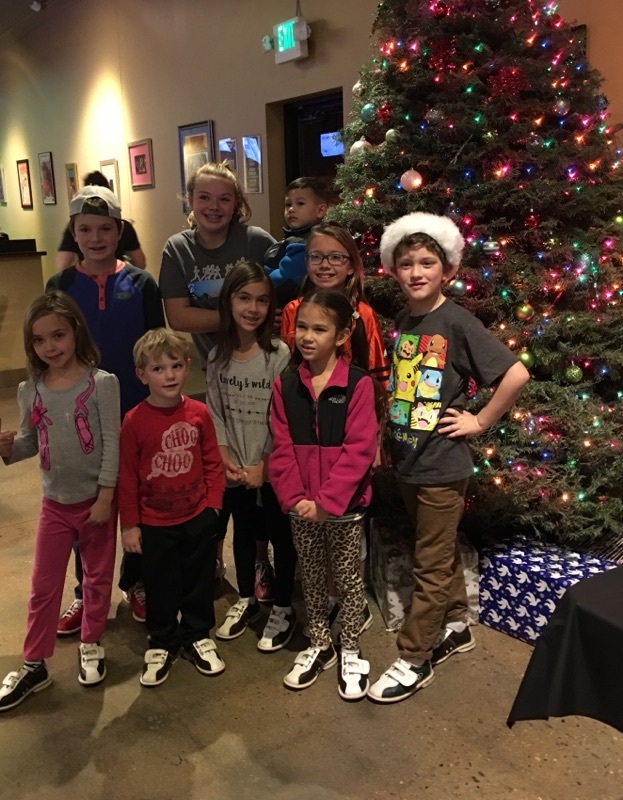 We managed to corral the kids — bowling shoes and all — long enough to shoot a photo…. 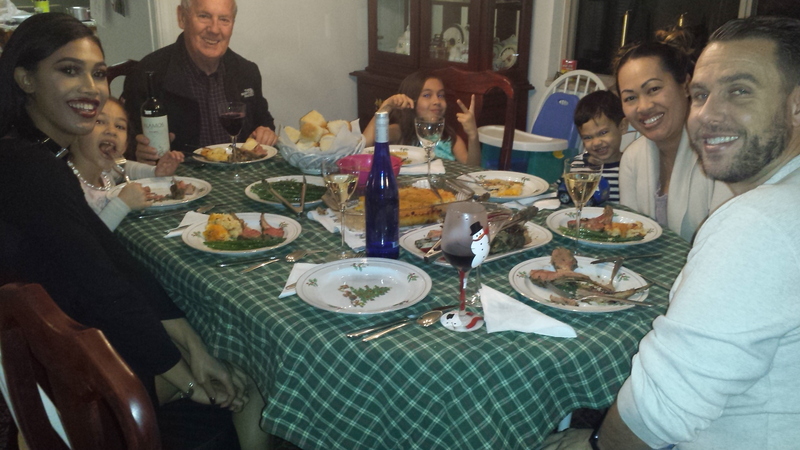 On Thursday, we celebrated Christmas with Court and his family with dinner at our house. As usual, a sushi tray was the beginning of the show. 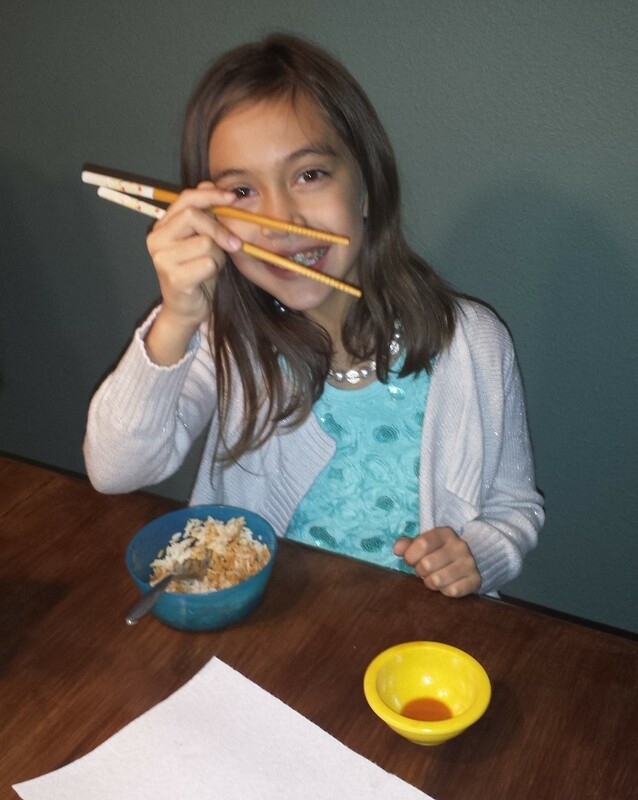 Kaiya demonstrated her newly-learned chopstick skills to me…. Our gathering was joyous, if the photography wasn’t…. 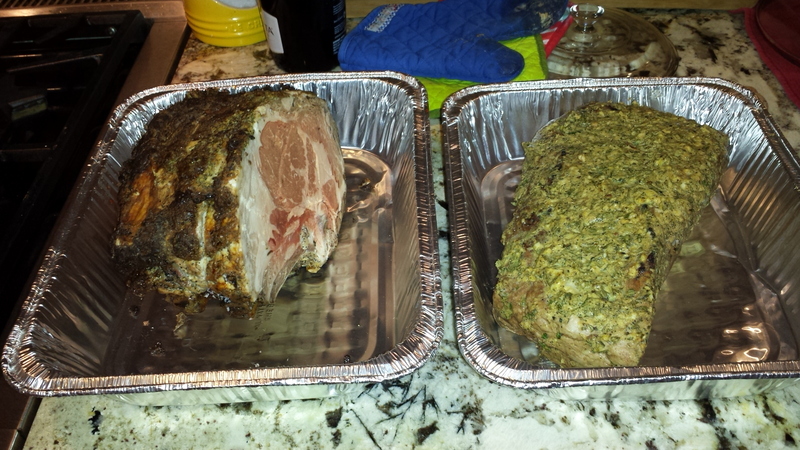 On Christmas Eve, we celebrated with the McLain clan. 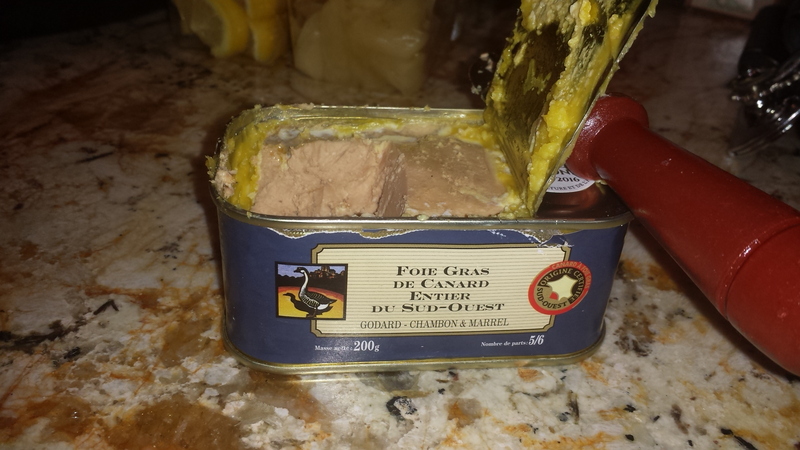 There was plenty of delicious beef…..
Allen and Emma (who you recall comes from Paris) provided fois gras for all to try…. 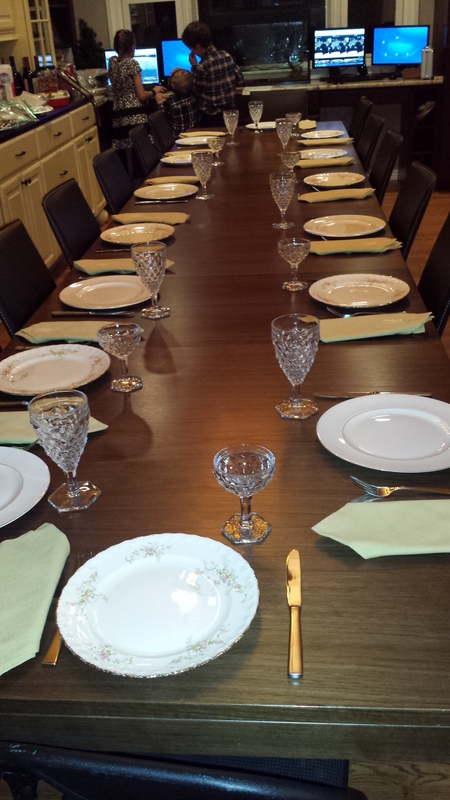 The table was beautiful (and the kids were monitoring Santa’s progress in the background…. 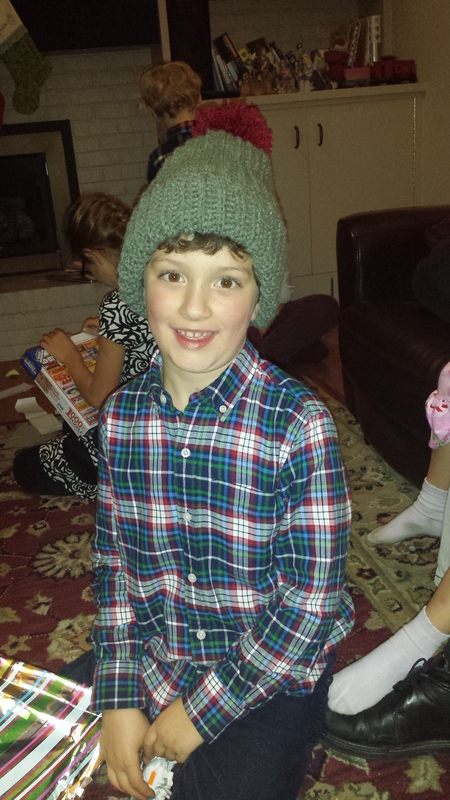 Joseph models the stocking cap I made him to keep his ears warm during those cold Vermont winters….. I hope everyone enjoyed the Christmas holiday as much as I, and now we get ready for the new year. My oh My! How do you do it all, and manage to take pictures too?? O, I know, you’re WodnerCouple. I knew it all along! Thanks again for the huge surprise of the lovely apron. I looove it. And you too.